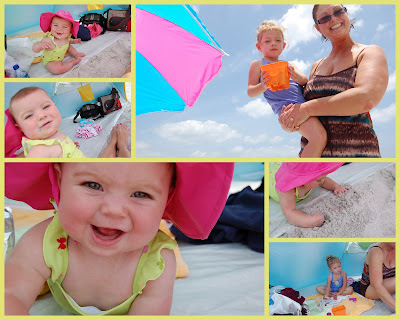 Here are a few pics from the one time we visited the beach while in Florida. had to hold her the entire time. Zoe on the other hand LOVED it! She stuck an entire handful of sand in her mouth first thing!